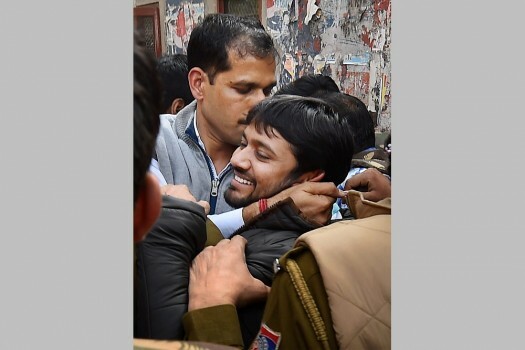 JNUSU President Kanhaiya Kumar being hugged by students after reaching the JNU campus upon his release on bail, in New Delhi. 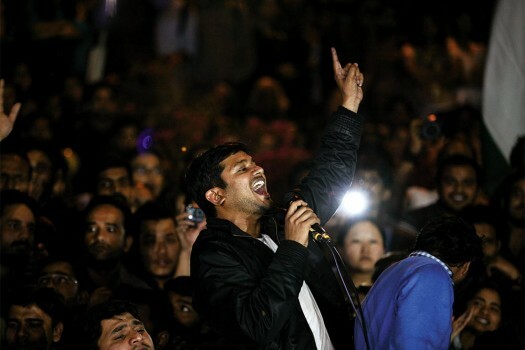 JNUSU President Kanhaiya Kumar addresses students after reaching the JNU campus upon his release on bail, in New Delhi. 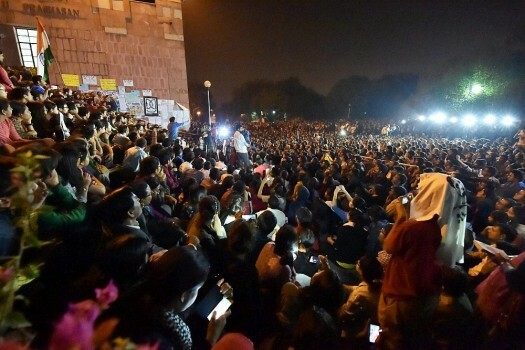 Jawaharlal Nehru University students celebrate after Delhi High Court granted bail to JNUSU president Kanhaiya Kumar at Parliament Street in New Delhi. 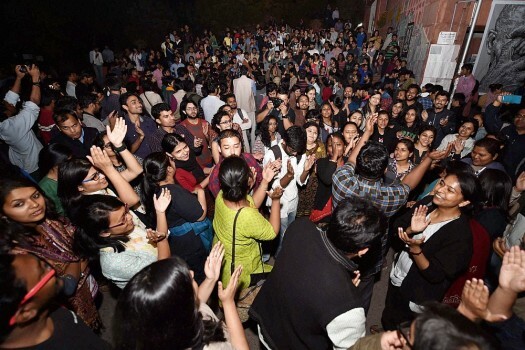 Jawaharlal Nehru University students celebrate after Delhi High Court granted bail to JNUSU president Kanhaiya Kumar at the JNU campus in New Delhi. 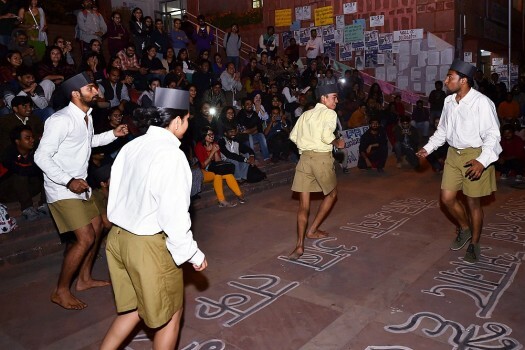 Artist from Sangwari Theater Group performs at JNU campus in New Delhi. 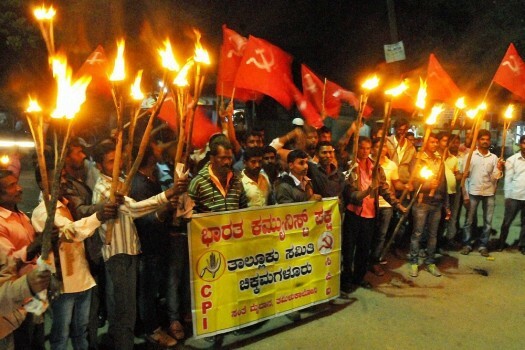 CPI activists during a torch parade demanding the release of JNU student Kanhaiya Kumar arrested over alleged sedition, at Chikmagalurin Karnataka. 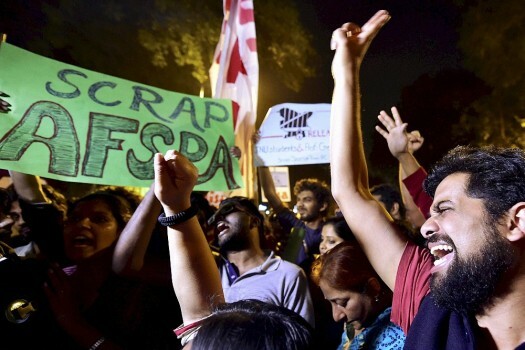 Students, teachers and supporters of left parties protest against the arrest of Kanhaiya Kumar from Jawaharlal Nehru University outside Jadavpur University campus in Kolkata. 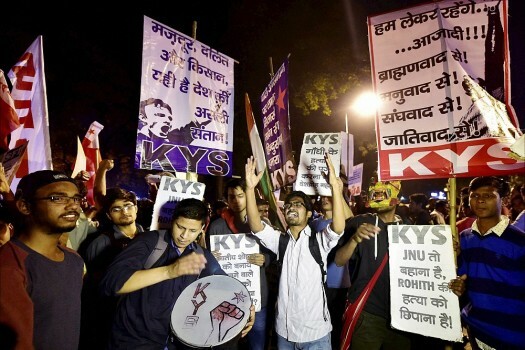 A member of National Students Union of India is detained by police during a protest by them in support of student leader Kanhaiya Kumar, in New Delhi. 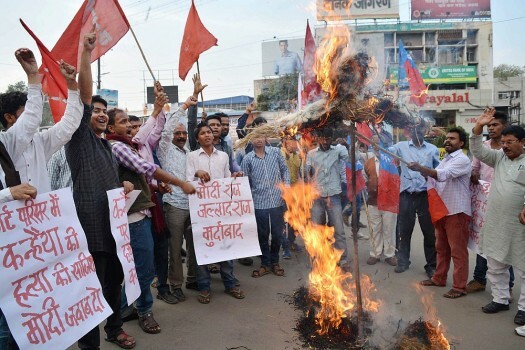 Members of ABVP staging a protest against recent incident of alleged anti-national activist at JNU, near Raj Bhawan in Ranchi. 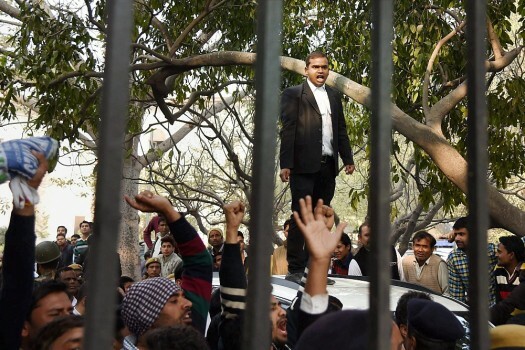 A lawyer shouts slogans at Patiala House Courts where JNUSU President Kanhaiya Kumar was being produced in New Delhi. 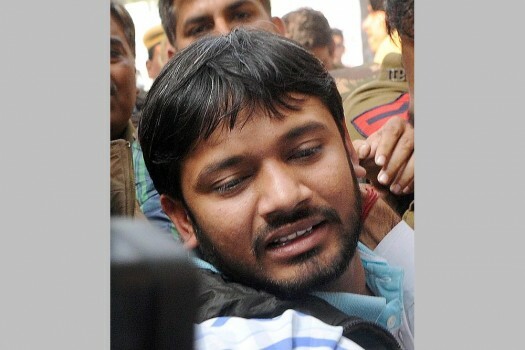 JNUSU President Kanhaiya Kumar, arrested on charges of sedition, being produced at Patiala House Courts in New Delhi. 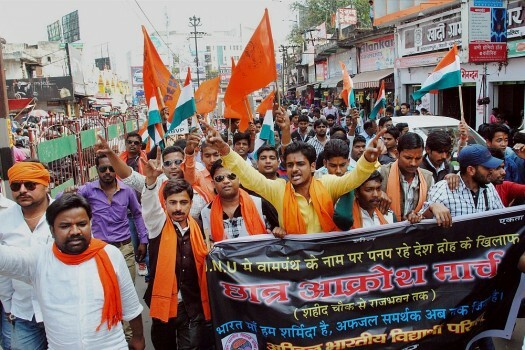 Members of ABVP staging a protest march against recent incident of alleged anti-national activist at the JNU, near Raj Bhawan in Ranchi. 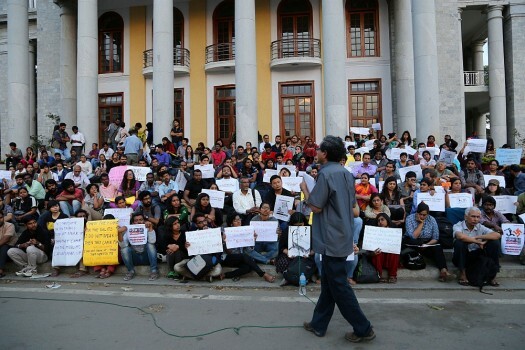 Cambridge scholar and Sahitya Akademi award-winning author Hiren Gohain has criticised the BJP government over several issues. 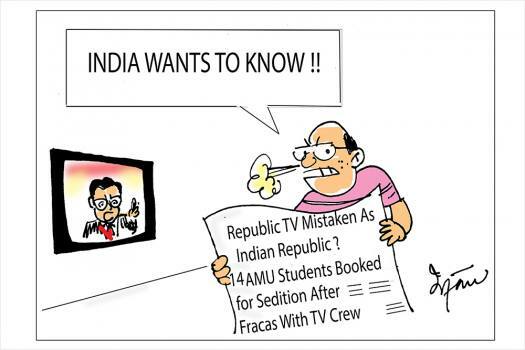 He has recently been charged with sedition for his comments. 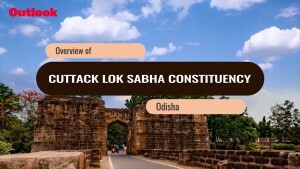 The 80-year-old former Gauhati University professor shares his thoughts. 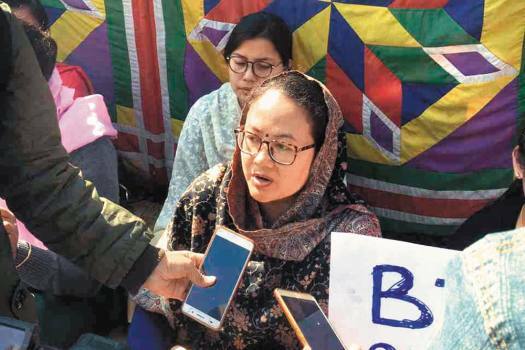 Repeal of sedition law, omitting criminal defamation clause, setting up Court of Appeals and panel to probe complaints against judges - the party's poll promises are a mix of radical measures and much needed reforms. 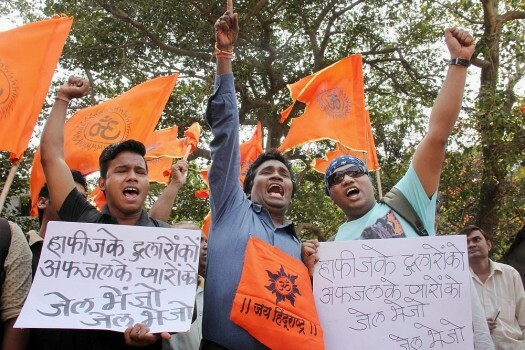 Two college students were arrested in Kerala on sedition charges for allegedly putting up 'anti-national' posters seeking independence for Kashmir and Manipur, police said on Friday. 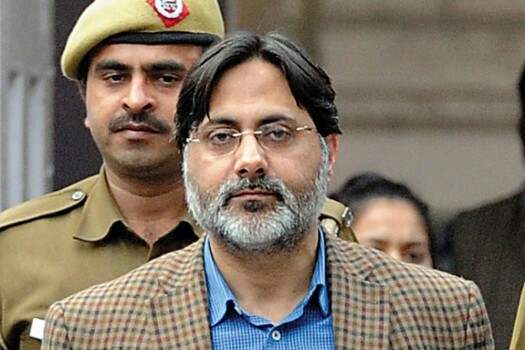 Asked if the invite was withdrawn because of BJP's criticism, Tewari said the "media was trying to create a storm in a teacup".